What is Rapid Prototyping for Thermal Management Solutions? 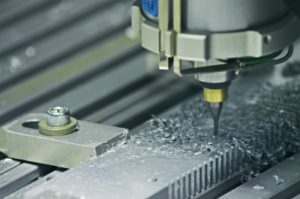 Getec uses CNC “subtractive methods” to create these rapid prototypes in our CNC machining facilities. Getec Industries has integrated this approach to turnkey thermal solutions manufacturing for our customers. Why? Because every thermal management solution is a little different. Electronic devices have infinite variations, and something that looks like it will work well in a CAD drawing, doesn’t always work best in real world applications. This is why Getec’s rapid prototyping approach is such a huge benefit to our customers. Rapid prototyping allows you to test your thermal management solution before kicking it into mass production, to make sure it performs as the specifications indicate. If it doesn’t work the way it should, rapid prototyping allows you to tweak the design to make it work better without the huge cost of retooling and re-manufacturing the products if the thermal management solution does not work as indicated. You can make the mistakes in a lab, using rapid prototyping before the cost of rework becomes prohibitive. It also allows you to tinker with existing heat management profiles to make them better at a fraction of the cost of re-engineering an entire project. With the rapid prototyping approach, you can create upgraded products by experimenting with the latest version of the product, making it better than the previous version and sending it into production as a new item. Rapid prototyping is a low risk approach to releasing new thermal management solutions for your products and may result in considerable savings in the long run. Need Rapid Prototyping for Your Thermal Management Solution? Getec Can Help. Getec has thermal management engineers available on staff in our Engineering and Sales Division to assist with your rapid prototyping projects. Contact one of our thermal management solution rapid prototyping specialists today by completing our simple online contact form, calling 888-000-8499 or emailing us at sales@getecna.com today.